Today marks week 11 of the Summer Sampler 2016 quilt along, and things are definitely steamy here in Chicago. Yesterday's heat index was 109 degrees! Hot hot hot, perfect weather for the pool or sewing in the air conditioning. :) This week's block Ombre Cross is designed by AnneMarie Chany of Gen X Quilters. This block was a great challenge for me, with it's tiny center piecing. I learned to take it slow and really concentrate on a consistent 1/4" seam allowance. 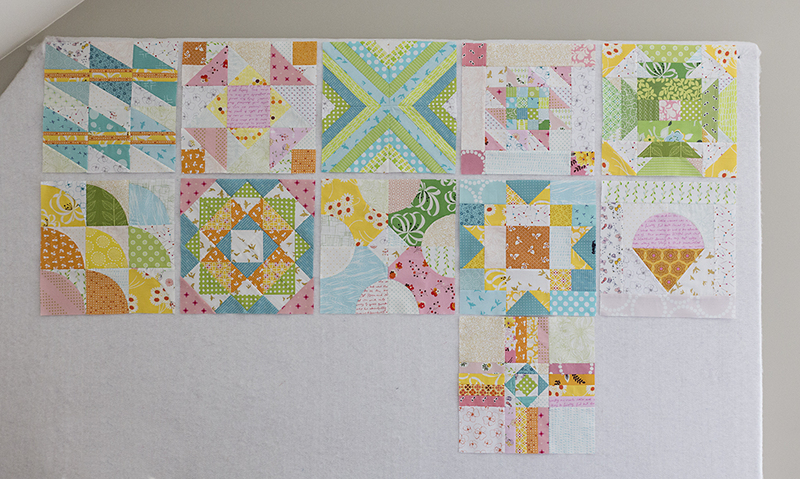 We are officially in the second half of sewing blocks, and they are looking so fun together! 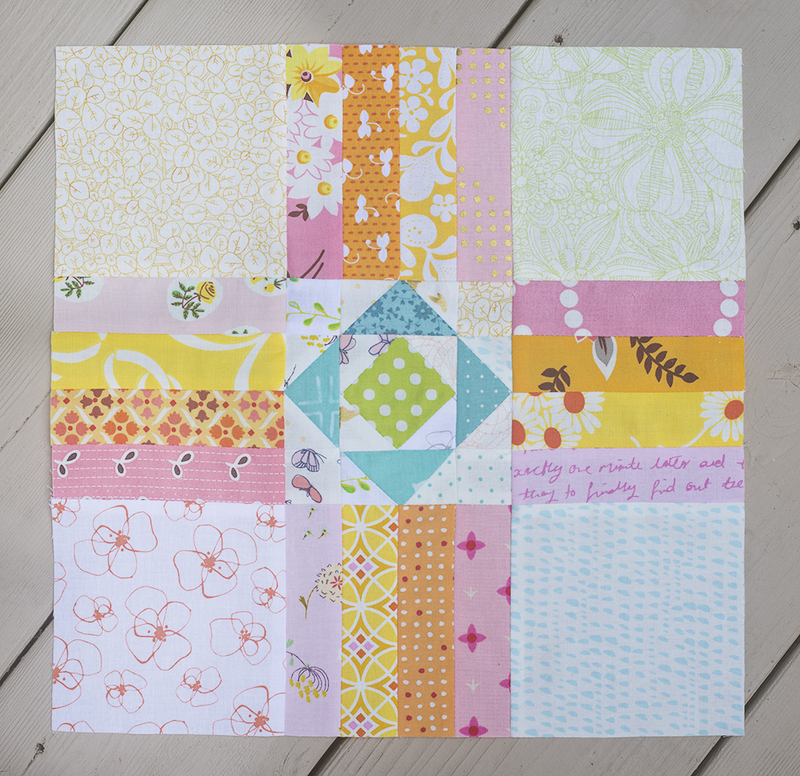 Below you can find the Summer Sampler 2016 details, as well as custom shop fabric bundles for the quilt along. You can join at any time. If joining after Week 1, you will initially receive all the patterns up to the current date. Special note: If you are having trouble and don't see your pattern email, it has likely been marked as SPAM by your email service. Please email Lee at FreshlyPieced@gmail.com and she can resend your link. Brush Strokes by Holly DeGroot ~ More EPP! Let’s keep in touch! Sign up with your email address to receive the latest journal posts and news. I accept paid sponsor advertisements on this site. Occasionally, I receive fabric, notions and/or books in exchange for posting an honest review of these items. I will always state when I have received these items for free, and accepting these items will not prevent me from stating my honest opinion of them. This site also uses Amazon affiliate, Share a Sale affiliate, and Pattern Drop affiliate links.